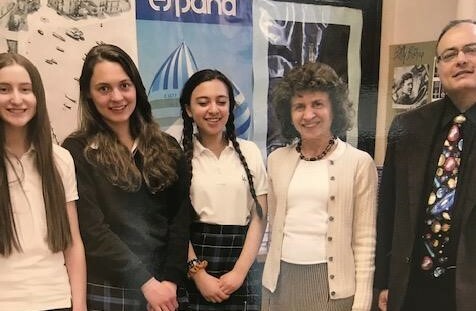 Erminia Tonelli a beloved Guidance Counsellor and teacher of extended French at Loretto Abbey for 26 years passed away last year after a lengthy battle with cancer. 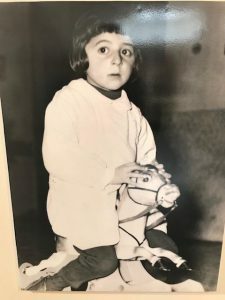 Her husband Sholom Wargon has compiled a collection of photographs that tell her story from a young girl in Italy to a devoted wife, friend, mentor, nurturer and spiritual soul. 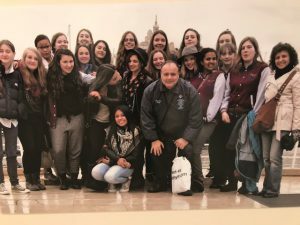 The exhibit opened on October with a reception attended by friends, family and the Loretto community. The large photographs of Erminia and her tremendous smile are both stunning and heartbreaking as they remind us of warm memories and loss. Since posting notice of the exhibit on our social media channels, we’ve had an outpouring of comments where her former students have reflected on the positive influence she had on their lives. If you were unable to see the exhibit for yourself, you may now experience it online here.